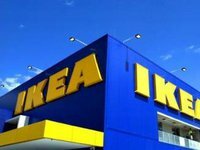 The Ukrainian group of companies ZAMMLER, which provides transport and warehouse logistics services, plans to participate in a tender of the Swedish furniture store chain IKEA in connection with its access to the Ukrainian market, Director of ZAMMLER Group Viktor Shevchenko has said in an interview with Interfax-Ukraine. "Work on expanding the client base continues all the time. It's probably not a secret that the well-known international brand IKEA is entering Ukraine. For logistics this is a big event and we have very ambitious plans on this matter. We intend to take part in their autumn tender for the election of a logistics operator," he said.